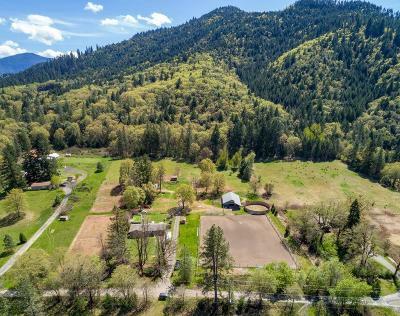 With beautiful mountain views, a year round 5 gpm spring, and creek (gpm unknown), both with WATER RIGHTS, *plus* a 18 gpm well w/ purification system and softener. 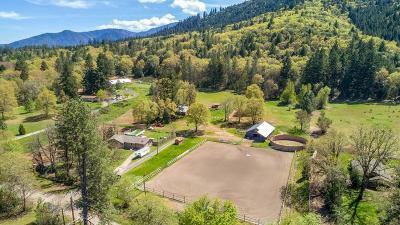 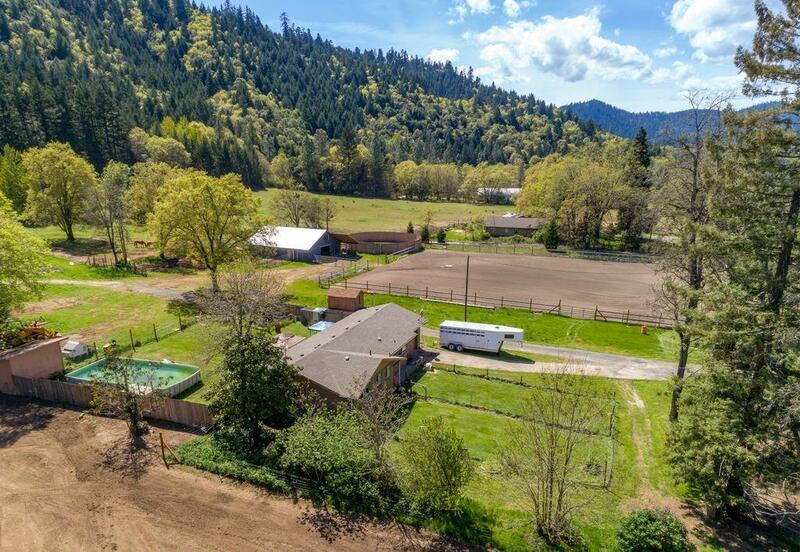 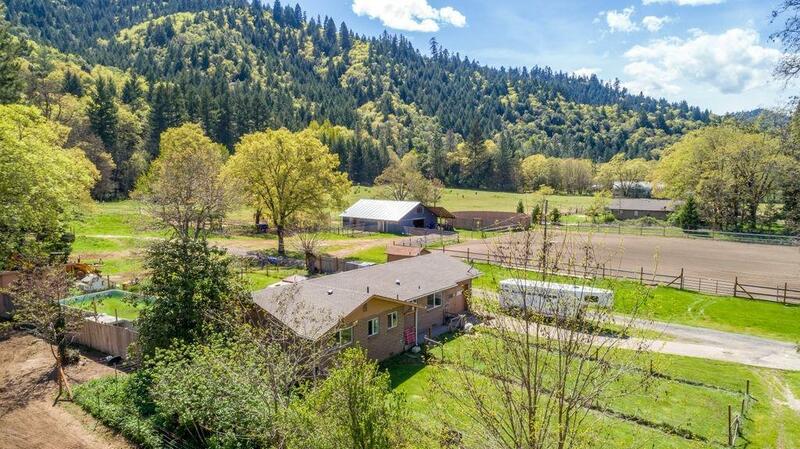 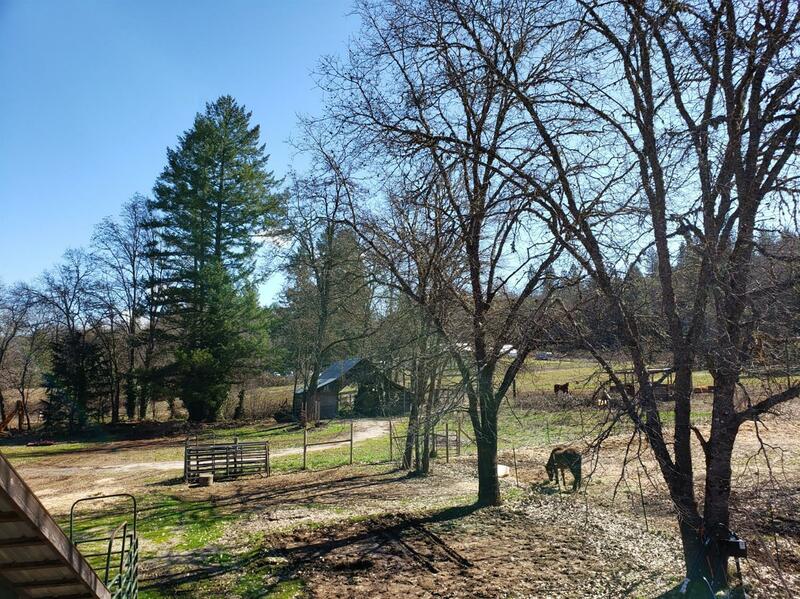 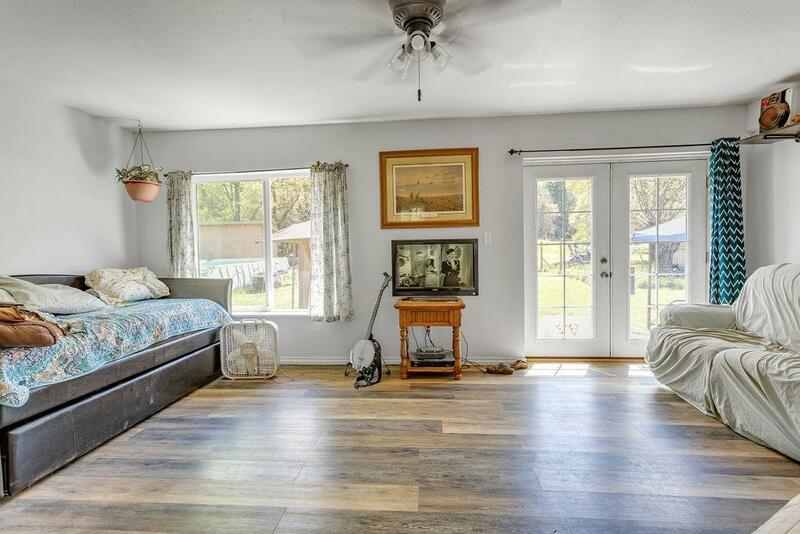 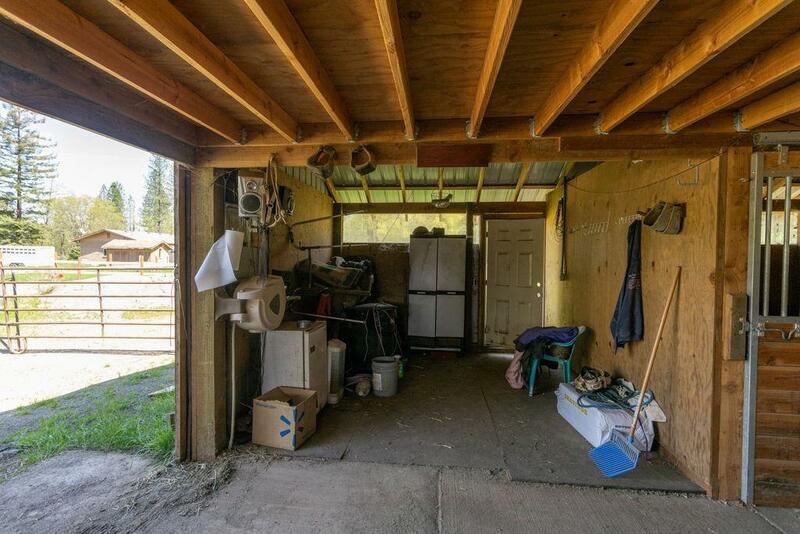 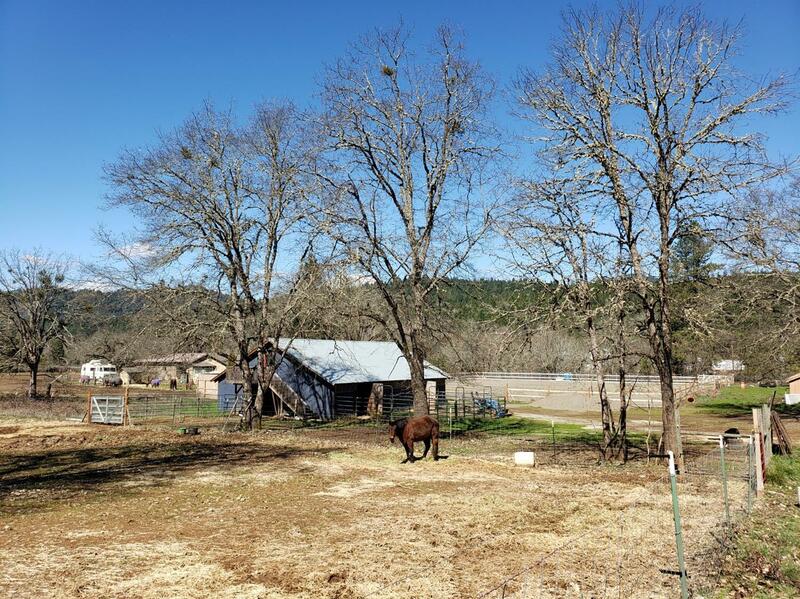 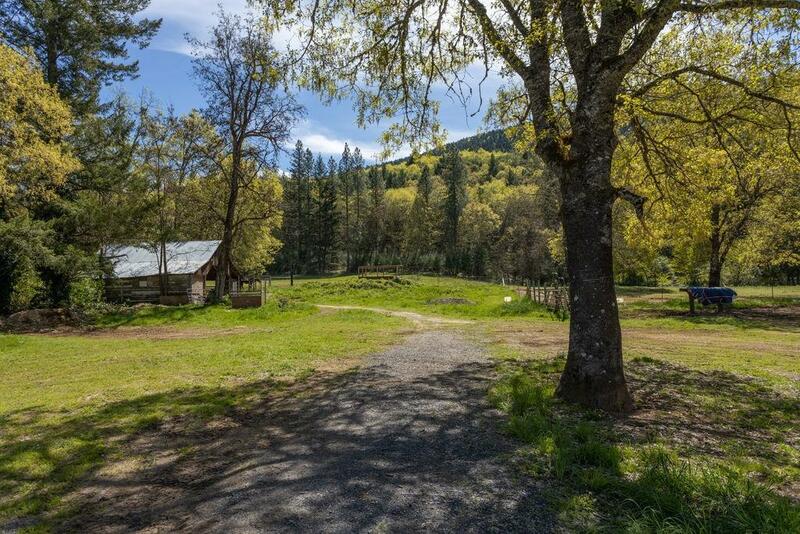 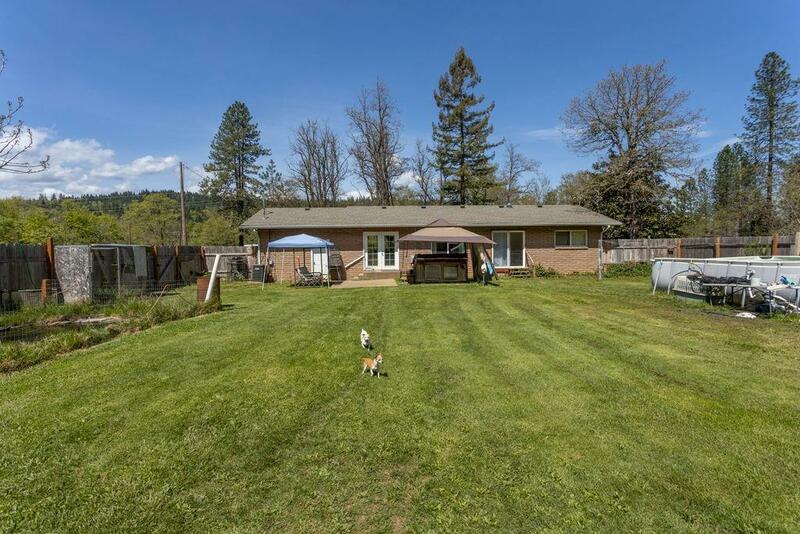 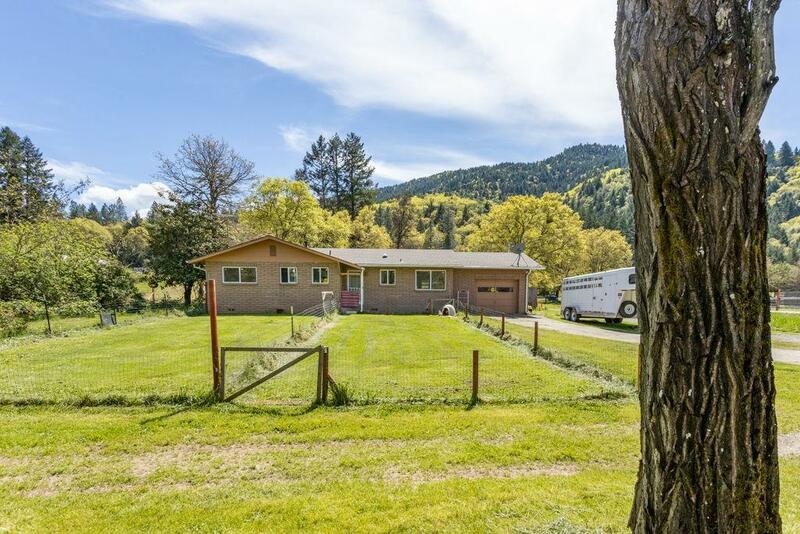 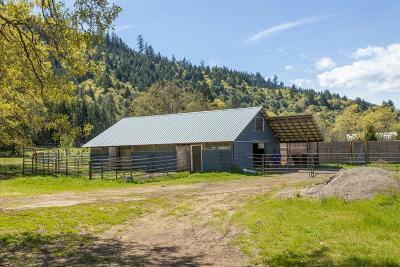 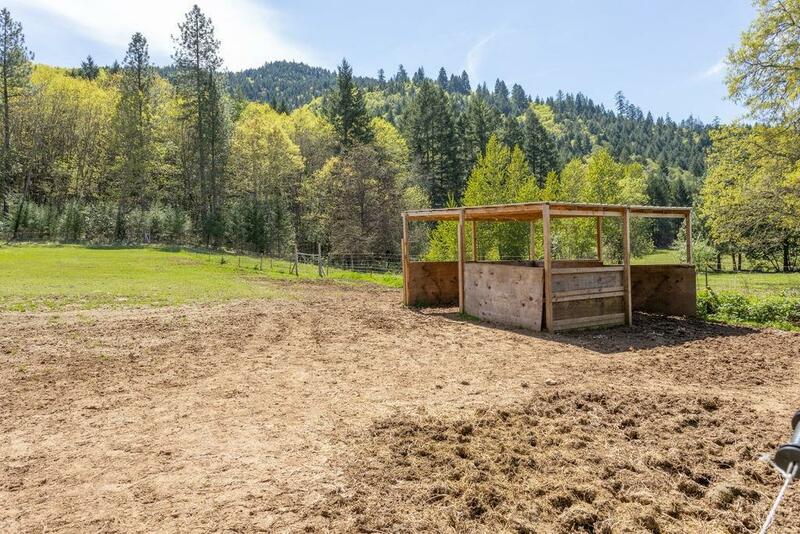 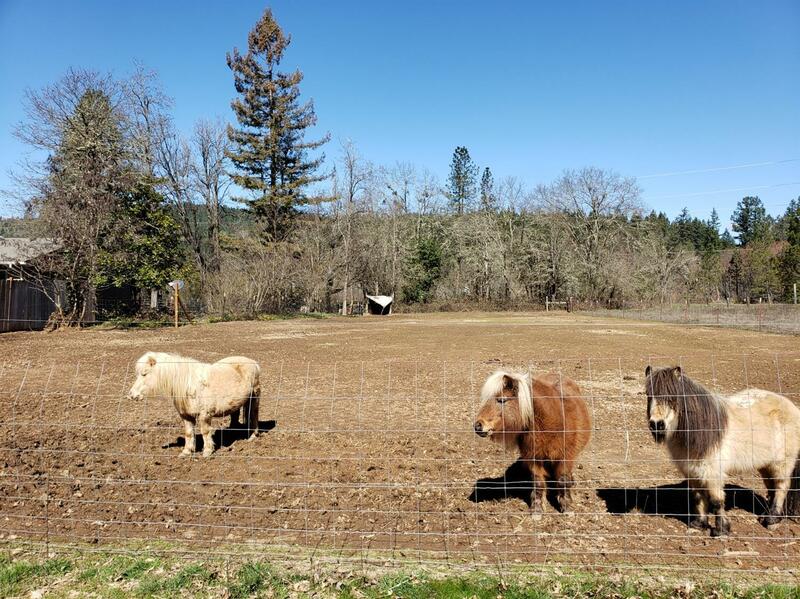 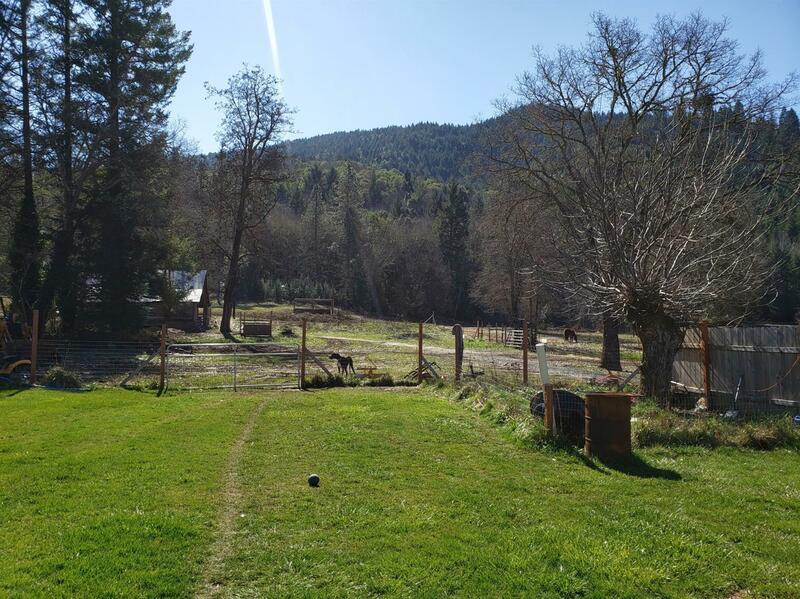 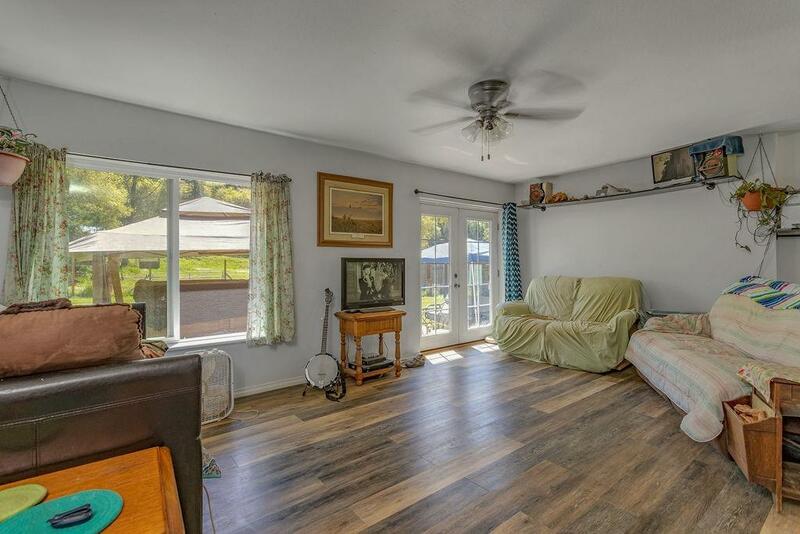 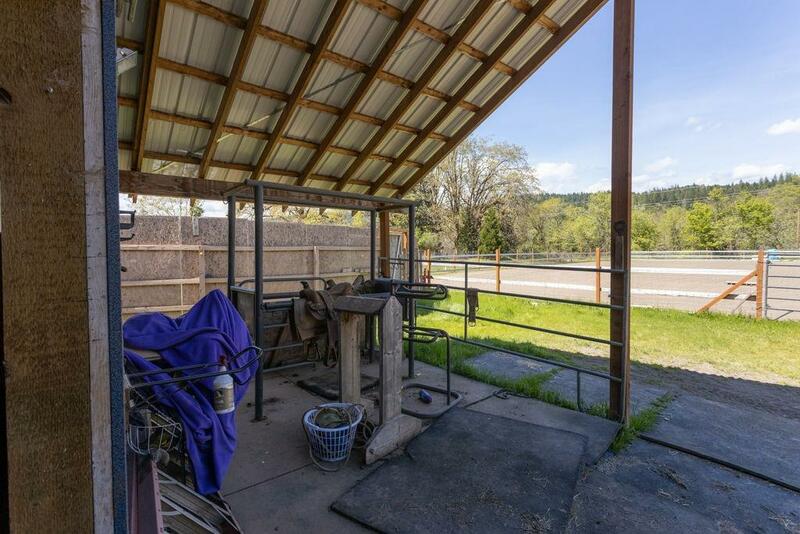 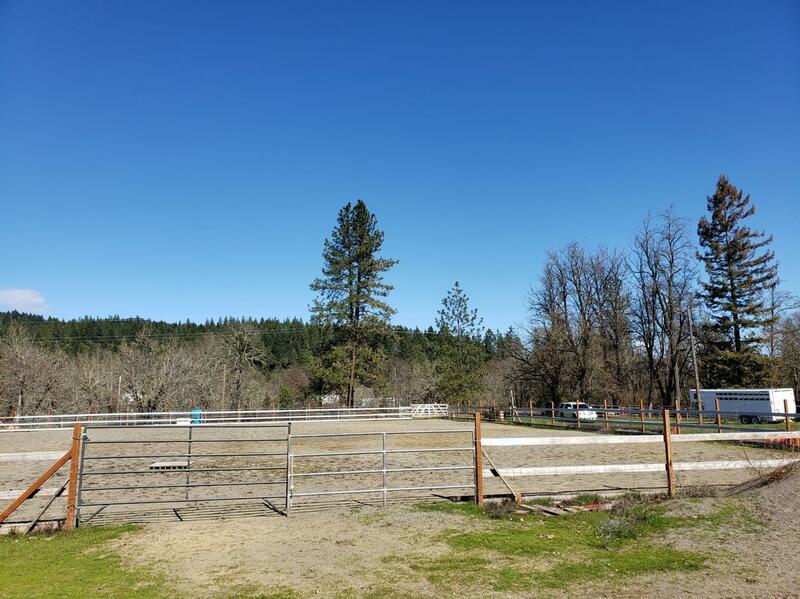 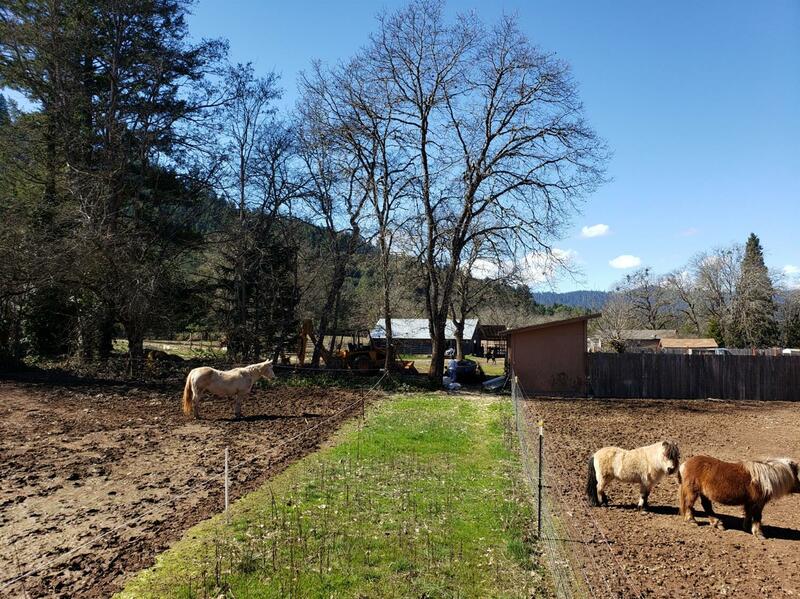 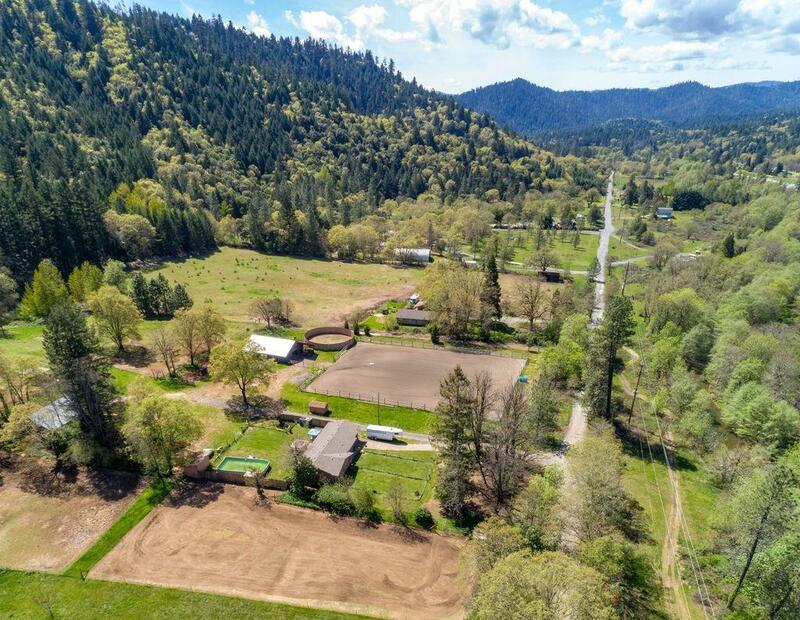 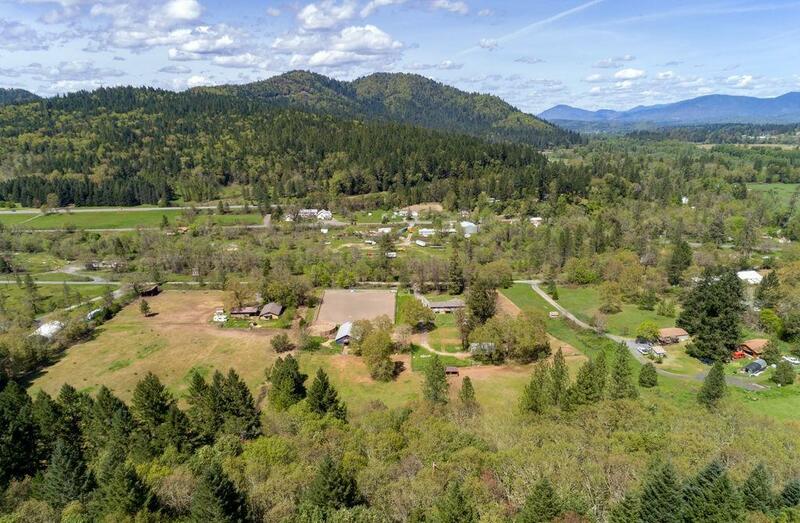 Nearly 7 acres of Southern exposure on the western edge of Grants Pass. 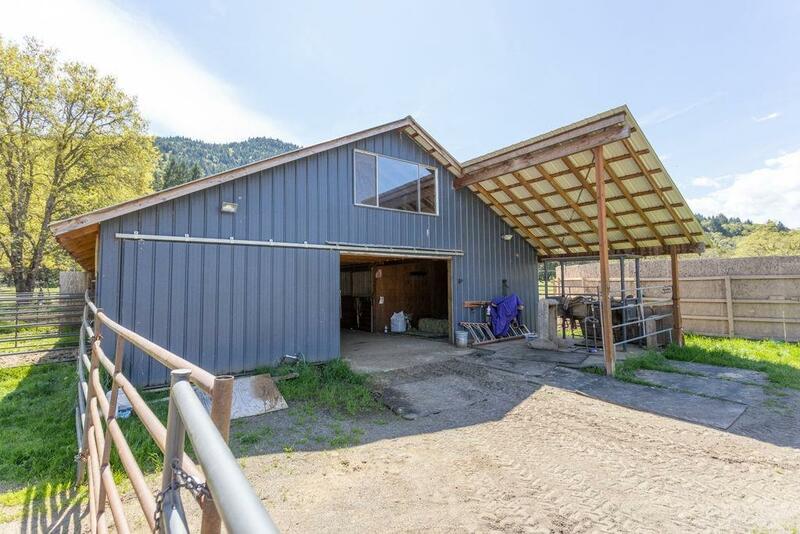 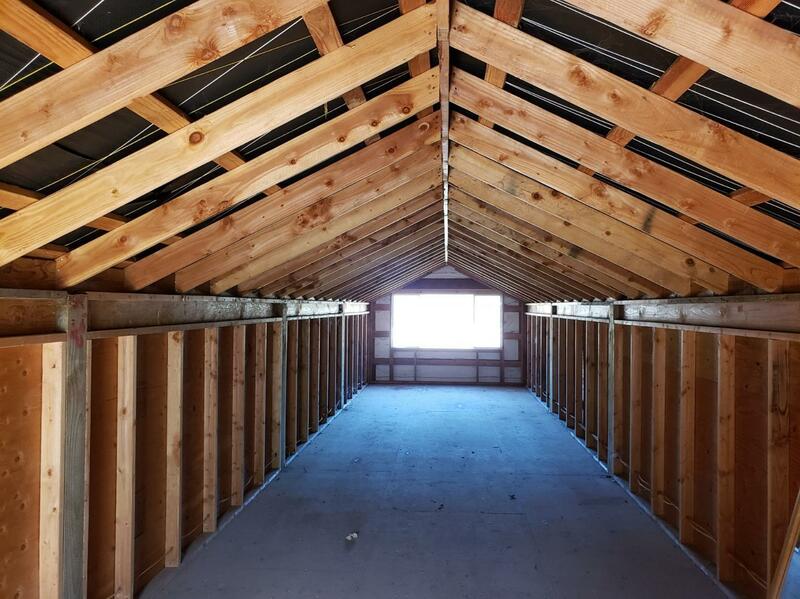 Built in 2015, 1728 sf (48x36) pole barn w/ 6 12x12 matted stalls, paddocks, tac area, stocks, and large [livable] loft w/ 220 electrical. 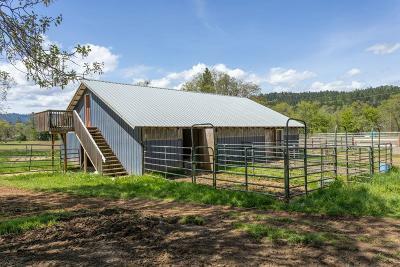 Built in 2017, 190x156 (i.e. 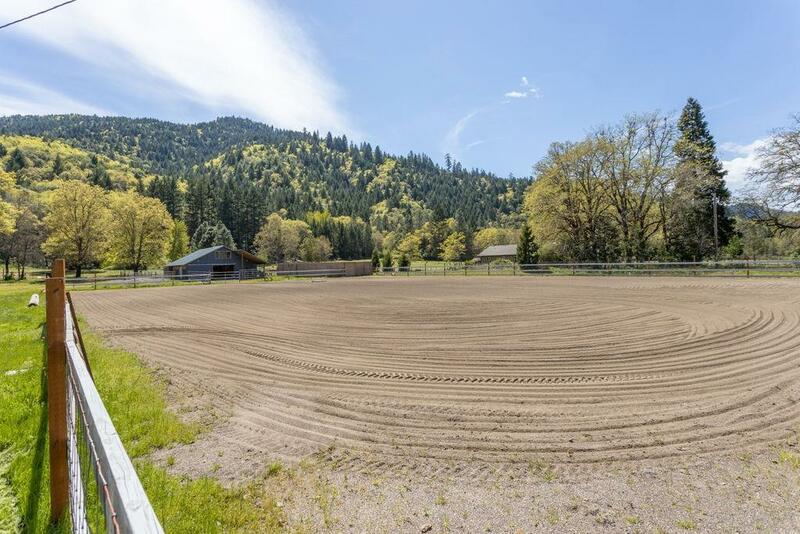 29, 600+ sf) 4- rail, high-end arena w/ compacted base, footing is 6 inches of sand. 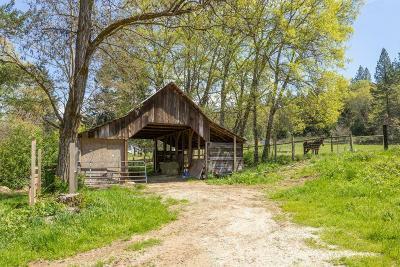 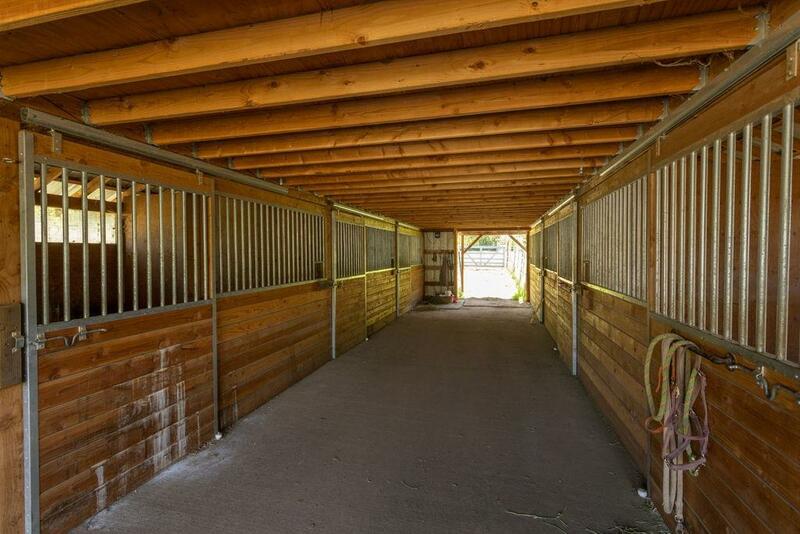 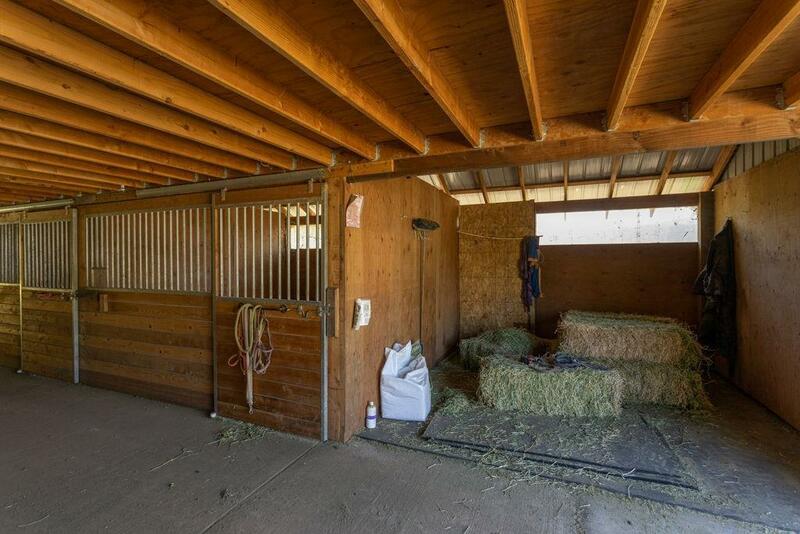 60 ft round pen, large hay barn, 16x16 foaling stall, chicken coop, fish pond, and bird aviary. 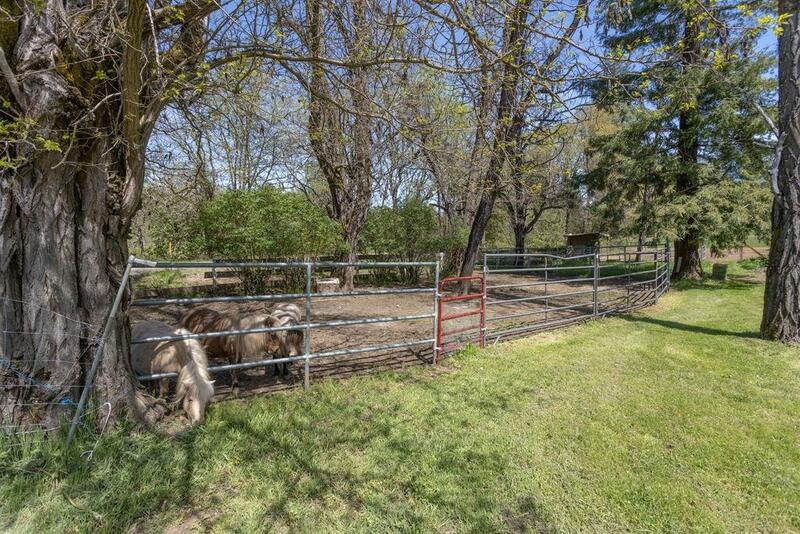 Full property perimeter has electric fencing, in addition to cross fencing for 6 pastures. 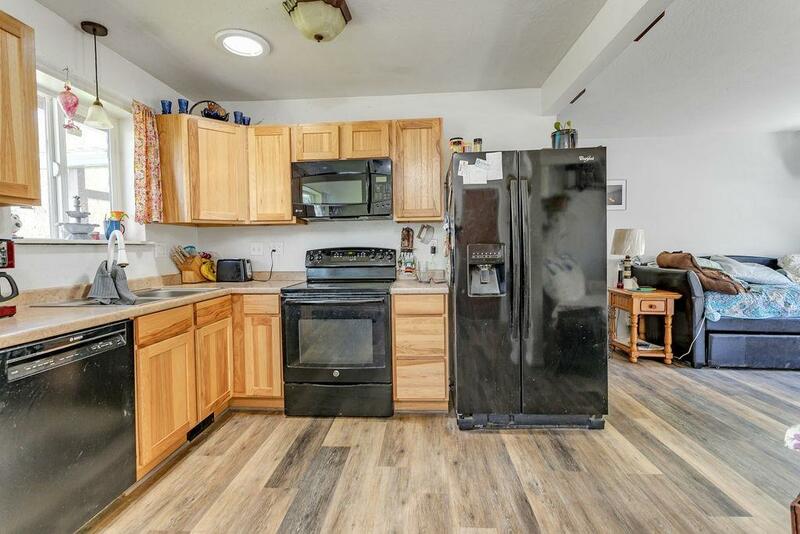 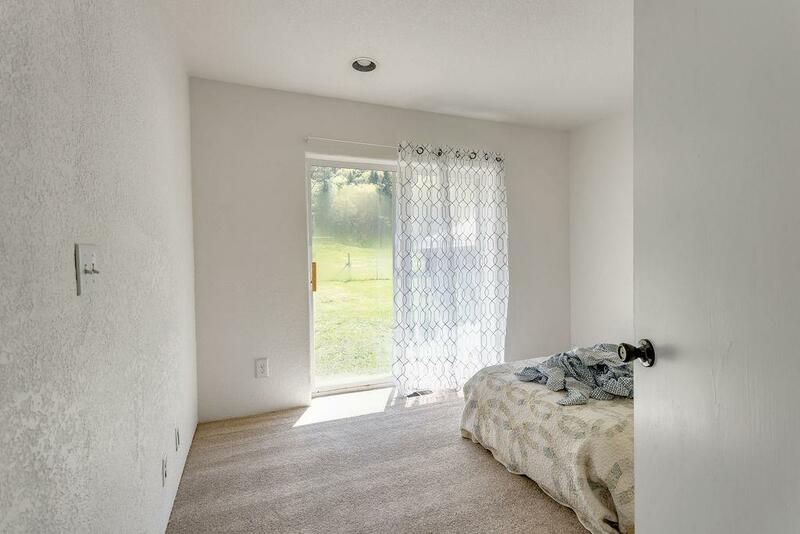 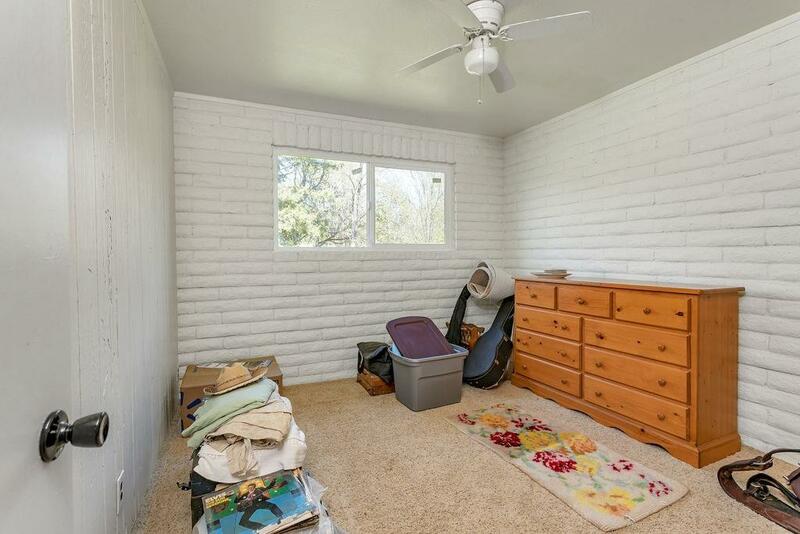 Huge remodel on the home in 2014: 1100+ sf 3 bedroom, 1 bath home with new kitchen cabinetry, appliances, exterior paint, & roof; new in 2019: laminate flooring, interior paint, & fixtures; new in 2018: doors, windows, heat pump, & electrical. 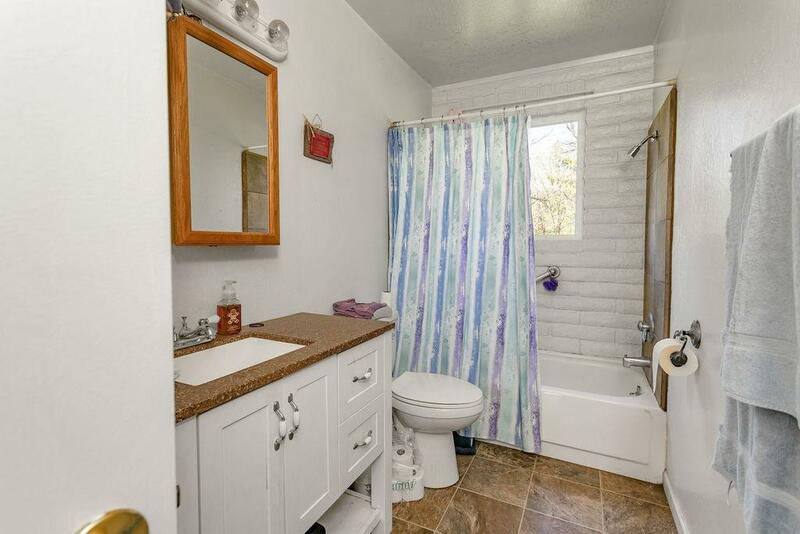 Above ground salt water pool, hot tub, alarm system, gated access and privacy!